Nil return filing is mandatory under the Income Tax Act for certain types of taxpayers. By filing a nil return, the taxpayer would declare to the Income Tax Authorities that the taxpayer had no income or activities during the assessment year. In this article, we look at the procedure for filing NIL return under the Income Tax Act. Under the Income Tax Act, an individual having more than Rs.2.5 lakhs of income is required to file income tax return in ITR-1 or ITR-2 form each year. Income tax return for individuals is due on or before the 31st of July. Failure to file income tax return could attract a penalty of Rs.5000 if the return due on 31st July is filed before 31st December and a penalty of Rs.10,000 if the return is filed after 31st December. 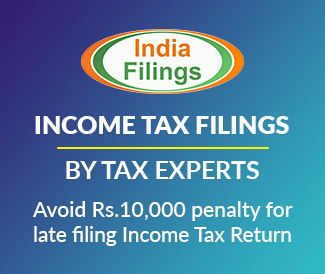 The penalty for late filing income tax return is capped at Rs.1000, if the annual income is less than Rs.5 lakhs. If an individual has less than Rs.2.5 lakhs of income in a year, he or she is not required to file NIL return. However, it is recommended that an individual file NIL return, even if the taxable income is less than Rs.2.5 lakhs, if he/she had filed income tax return in the previous year. Note: An individual can file income tax return, even if the taxable income is less than Rs.2.5 lakhs. Proprietorship firms are required to file income tax return in form ITR-3 or ITR-4. Form ITR-4 can be filed by taxpayers who have opted for the presumptive taxation scheme. In case of proprietorship firm where ITR-3 or ITR-4 form had been filed previously, NIL return must be filed even if there is no business activity. For most proprietorship firms, even if there is no revenue or activity, there would be certain expenditure incurred which can be carried forward as a loss. Hence, in case of a proprietorship firm, even if there is no activity, NIL return must be filed. All LLPs registered in India are required to file income tax return each year in Form ITR-5, irrespective of business turnover or profit or activity. If after incorporation a LLP has not commenced any activity, the LLP would still be required to file NIL income tax return and MCA annual return – Form 8 and Form 11. Failure to file NIL return under Income Tax Act for a company would lead to a penalty of Rs.5000, if the return is filed before 31st December and a penalty of Rs.10,000 if the return is filed after 31st December. Do I have to file NIL return for LLP? Yes, a LLP will have to file NIL return mandatorily even if there is no revenue or activity in the LLP. NIL return filing is mandatory even for LLPs that have not opened a bank account. All companies registered in India are required to file income tax return each year in Form ITR-6, irrespective of business activity or revenue or profits. Hence, NIL return filing is mandatory for dormant companies or inactive companies also. 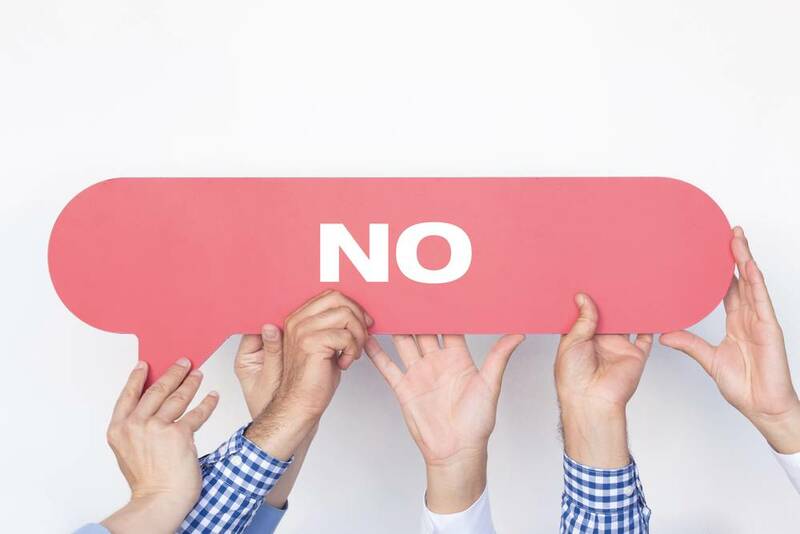 In case a company is being wound-up, it would still have to file income tax and company annual return before being struck-off from the MCA Register of Companies. 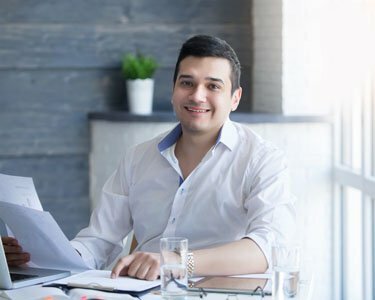 Do I have to file NIL return for Company? Yes, a company will have to file NIL return mandatorily even if there is no revenue or activity in the company. NIL return filing is mandatory even for Companies that have not opened a bank account. In case a taxpayer who is required to file NIL return does not file his/her income tax return on or before 31st July, a penalty of Rs.5000 will be applicable from 1st August. The penalty will be further increased to Rs.10,000 if the income tax return is not filed before 31st December of the same assessment year. Note: In case a taxpayer has a taxable income of less than Rs.5 lakhs, the penalty is capped at Rs.1000. Know more about penalty for not filing income tax return. Thus, as explained above, NIL return filing under Income Tax is mandatory for most types of business entity even if there is no activity or if business has not commenced. In case of individuals as well, it is recommended that they file NIL return for income tax, even if they have a taxable income of less than Rs.2.5 lakhs per annum once they have began filing income tax return. To file NIL return under Income Tax, get in touch with an IndiaFilings Business Advisor at [email protected].